Diamond Pure Water Filtration provides sales and service of water softening systems, whole house systems, water conditioners, salt-free systems, well water systems and reverse osmosis systems for residential customers as well as commercial and retail businesses. Our service area includes Orange County, Los Angeles County, Riverside and San Bernardino County. 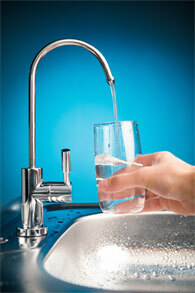 We’re the first choice when it comes to hard water elimination and water filtration systems. We know the extent of the damage mineral deposits from hard water can have on plumbing infrastructure, and the costs associated with replacing these systems. We have expertly corrected water quality issues that can impact the shortened lifespan of important plumbing infrastructure, hot water heaters, appliances and fixtures. We help you make the right choices in hard water treatment technology and applications suitability to ensure that water quality does not contribute to a flood of other problems. Government/public buildings, schools and libraries, etc. Our technicians offer unmatched experience treating all types of water conditions, from iron removal and hard water correction to reverse osmosis and whole building water filtration. You will see why we are clearly the best at turning problem water into problem-free water. See what our customers say about us on Yelp. Not only will you be totally satisfied with your equipment, our excellent service history will provide quality service for any services you need. Water Is Essential To Life; Therefore, Make It Good! We visit your home, evaluate your home or business, test your water quality and suggest only the filtration system best suited for your individual needs. 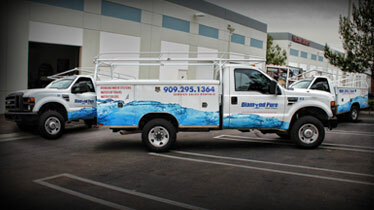 Call Diamond Pure Water Filtration at 909.295.1364 or contact us here — We are the local experts! © 2015 Copyright Diamond Pure Water Filtration. All Rights Reserved. By Websites Makeover | Web Design | SEO.